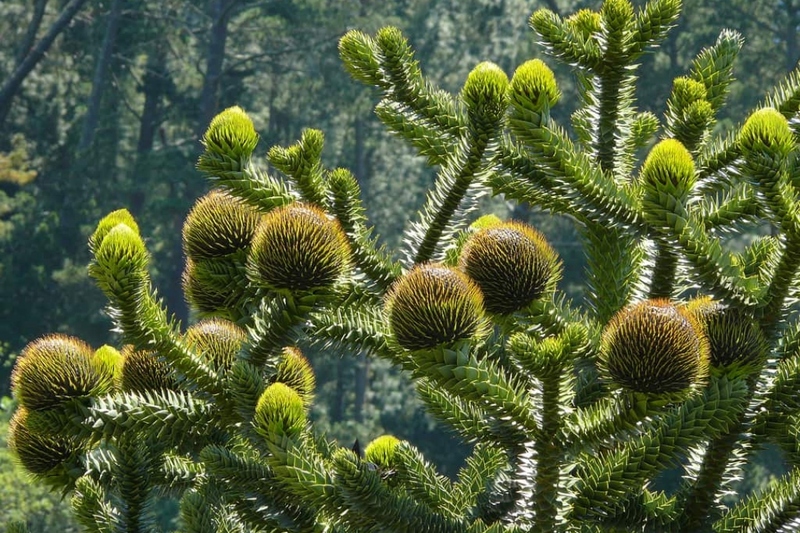 Monkey puzzle tree (Araucaria araucana): growing, planting, caring. An evergeen tree that looks a bit like it’s made of Lego bricks, when looked at from a distance. Araucaria araucana - the monkey puzzle tree - is a species in the family Araucariaceae native to Chile. It is an evergreen tree growing to 1–1.5 m (3–5 ft) in diameter and 30–40 m (100–130 ft) in height, with thick, tough and scale-like 3–4 cm (1.2–1.6 in) long leaves with sharp edges and tips.